﻿ The Country Lake Nature Lodge Hotel, Nakhon Sawan | FROM $37 - SAVE ON AGODA! Have a question for The Country Lake Nature Lodge Hotel? Situated on Nam Song Lake, this hotel is an adventurer’s paradise with an abundance of activities to be enjoyed. The Country Lake Nature Lodge Hotel boasts impressive wellness services including meditation, yoga, and massage courses complimented by a full service spa. Additional attractions that can be found nearby include the Uthai Thani fresh market, the floating house community, and Klong Lan National Park. The Lan Sakae restaurant serves healthy Thai cuisine at a reasonable price to be enjoyed after a day of activities. The Country Lake Nature Lodge Hotel is an ideal retreat for those looking for a getaway from the noise and pollution of the cities. Please enter your preferred dates of stay and submit our online booking form to make a reservation at The Country Lake Nature Lodge Hotel. The hotel is difficult to find as there are no signs and the location . The rooms are basic but clean. Staff is friendly and helpful. It is good if you are looking for natural surrounding and want to explore nearby areas. Be prepared to be attacked by big mosquitoes! Hotel has restaurant which serves fairly good but limited selection of food; relatively expensive though. very nice location. not very lucky with the flood of october last year. very friendly staff. our cabin was clean, everything you need is there. great value for money. little bit trouble finding the place but next time again ! What a strange place! In the middle of nowhere, tucked away in the bushes off the Asian Highway, and after 10km driving down dirt and gravel tracks, suddenly you see a few pink huts. Welcome to the Country Lake Resort! There were two German visitors there when we stayed (God only knows how they found it), but the staff were lovely, the food was great and the rooms were smart and clean. A nice enough place, but why anyone would go out of their way to stay here is beyond me. Of of interest, we found it on Agoda as a stop-off point en route from Bangkok to Tak. It served the purpose rather well - much more charming than a city hotel in Nakhon Sawan or Uthai Thani. we went on new years eve, it was very quiet and hard to find the hotel. Quiet countryside location by attractive river. 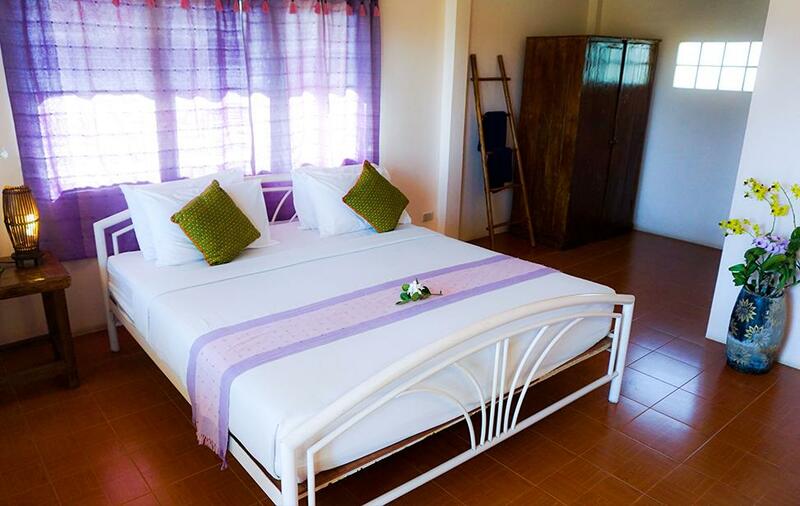 Rooms tastefully decorated in classic Thai style. Our stay was only for one night, but we enjoyed the loication, the food and the friendly service given by the staff. Thjis is a place we will certainly visit again and we would be happy to recommend it to anyone looking for a value for money relaxing location. This hotel is situated in the middle of nowhere. The standard bungalow we had booked was very simple, wuth only the basics (bed,toilet, shower and aircon). There is no swimming pool in the hotel and in the evening you can better keep the doors closed because there ate a lot of musquitos around. Overall an average hotel. Location is great for nature lovers. Up on arrival we were told that all bookings for the month were cancelled, but we were welcome to stay. The only thing was that the restaurant could not serve the whole menu. Since the lodges are located far from a city, we had no alternative than to eat what was available. Although the food tasted OK, the value for our money was too low if we compared to other places. Breakfast in the morning was good. Our room was clean and the small bath room too. The surroundings need a good clean up operation. The jungle is taking ove. The windows of the lodges are equipped with mosquitoe screens, but bring some DEET when you go out. Un peu difficile d'accès loin de l'agitation de la ville, cet hôtel propose dans un cadre très nature une prestation basique mais correcte. Les chambres sont propres et le petit déjeuner agréable dans un environnement luxuriant. l'hotel est perdu dans le campagne et il faut être thai pour trouver son chemin. mais une fois là, c'est bien. le personnel est charmant et la chambre, bien que modeste est largement suffisante pour passer une nuit. dépaysement total, vous être en pleine nature. les coktails sont excellents. Nous sommes arrivés de nuit et j'avoue avoir été un peu angoissée par le trajet nous menant à cet hôtel Je me demandais où nous allions atterrir. Nous avons trouvé la chambre simple mais agréable. Par contre la salle de bain très rudimentaire. Mais au réveil nous avons découvert un endroit paradisiaque des bungalows éparpillés dans une nature luxuriante, de l'autre côté de l'entrée de l'hôtel, un embarcadère pour faire des promenades sur le fleuve, magnifiques paysages. A recommander pour les amoureux de la nature pas attirés par le confort d'un 5 étoiles. Der neue Eigentümer (seit etwa 1 1/2 Jahren) bringt das Resort gerade so richtig auf Vordermann. Er spricht u.a. fließend Deutsch, ist sehr hilfsbereit und nett. Es liegt mitten in der Natur, weitab von Lärm und Hektik der nächsten Stadt Uthai Thani. Sowohl das Abendessen als auch das Frühstück (es gab u.a. Pfannkuchen) waren sehr gut und werden vom Chef selbst zubereitet. Das Hotel ist am Ende der Welt, die Agodakarte stimmte hinten und vorne nicht ohne Handy und google hätten wir es nie gefunden. War ein sehr netter Besitzer, das war der Lichtblick aber ansonsten nein eigentlich nur für den Naturliebhaber zu empfehlen, der gerne morgens um fünf aus dem Bett fällt weil der/die Tempel der Umgebung zusammen mit denm Dorfnachrichten um die Wette plärren und er, weil die Moskitostiche so jucken, eh nicht mehr schlafen wollte. Die sehr ruhige und abgelegene Anlage mit ca. 25 Bungalows befindet sich etwa 30 km vor Nakhon Sawan mitten im Wald an einem kleinen See. Die Anfahrtsskizze und die Beschilderungen sind sehr gut, so dass sie auch leicht zu finden ist. Die Zimmer sind recht ordentlich und das Retaurant bietet eine hervorragende Küche im Thaistil an. Potentieel is Coutry Lake qua ligging een geweldig resort, maar wij kwamen aan terwijl men deels aan het slopen was en deels aan het bouwen. Geen enkele andere gast te bekennen, en voor ons een grote tegenvaller toen we aankwamen. Men leek ook verbaasd dat Agoda dit aanbood, omdat men zei dat men eigenlijk geen gasten kon herbergen in deze periode. Vreemd! De lodges waren zeer basic, en ook niet echt schoon. De eigenaar heeft wel heel erg zijn best gedaan om het ons verder naar de zin te maken, hebben we er ons overheen gezet, en toch een paar hele leuke dagen gehad. Want de natuur blijft er prachtig!